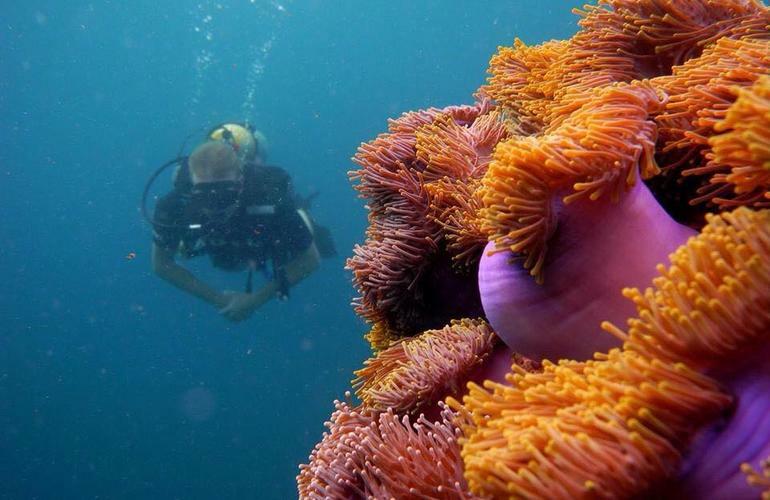 See the world beneath the waves on this PADI Open Water course in Khao Lak. The gateway to the Similan Islands National Park – where better to get your first PADI qualification than in one of Thailand’s best marine parks? A spectrum of colours where tropical fish decorate the reef and mantra rays cruise on by at a casual pace, master the basics on this 3-day Open Water course in Khao Lak. Khao Lak is just 80 km North from Phuket International Airport on the west coast of Thailand. 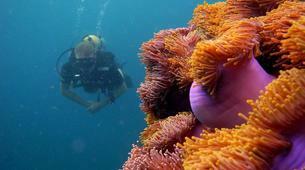 It is popular among families and divers since the endless shallow beaches and world-class scuba diving sites attract both types of travellers. 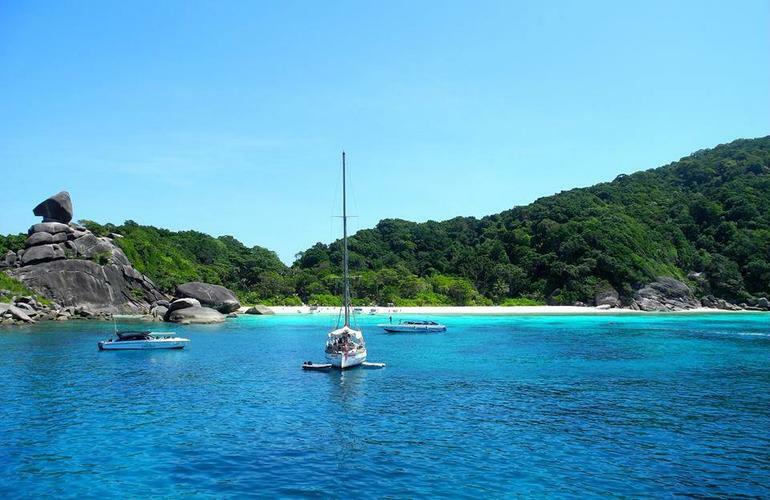 Most of the diving and snorkelling trips happen in Similan Islands National park, just two-hour boat trip away from Khao Lak. Meet your instructor in Khao Lak for the PADI-certified open water scuba diving course. The first step to becoming an accredited scuba diver, this three-day course will take you through the basics of diving – allowing you to understand both the practical and theoretical aspects of underwater exploring. Following the PADI curriculum, this course starts off in the pool with an introduction to the weights, tank and respirator – learning the commands necessary to communicate with your instructor. Moving onto the open water, you will have a chance to dive in some of the Similan Island’s best beginner sites – putting your new skills into practice and enjoying the coral reefs under the supervision of your instructor. These nine unique islands offer all level tropical diving from shallow reefs to deeply submerged pinnacles. The two islands North of Similan are famous for bigger pelagics and Manta Rays and Whale Sharks are spotted on these islands. To enrol in a PADI Open Water Diver course you need adequate swimming skills and need to be in good physical health. No prior experience with scuba diving is required.